If you’re looking to update your home or office, you can’t go wrong with stylish and durable ceramic tiles. Known for its durability, longevity, and elegance, this product has become one of the most popular materials for homes. Ceramic tiles are perfect for high-moisture rooms, such as the bathroom, and for high-traffic areas, such as the kitchen. While many people choose to use tile as a surface, it can also be used as a backsplash in a kitchen or bathroom. Create a unique look for either area of your home with the wide variety of options our flooring store has to offer. Find tiles in all kinds of colors, patterns, and styles. No matter what type of atmosphere you want to create for your space, we can help you capture your vision. Expect excellent customer service every time you visit our flooring store. We are dedicated to helping you find the right type of ceramic tile for you and your property. Whether you’re looking for something that’s modern and chic or traditional and sophisticated, our associates can help you find it. For a wide variety of ceramic tile flooring in Great Falls, MT, visit our showroom today. We are your authorized Schluter Brand tile dealer specializing with Ditra, Kerdi (shower systems) and substrates. 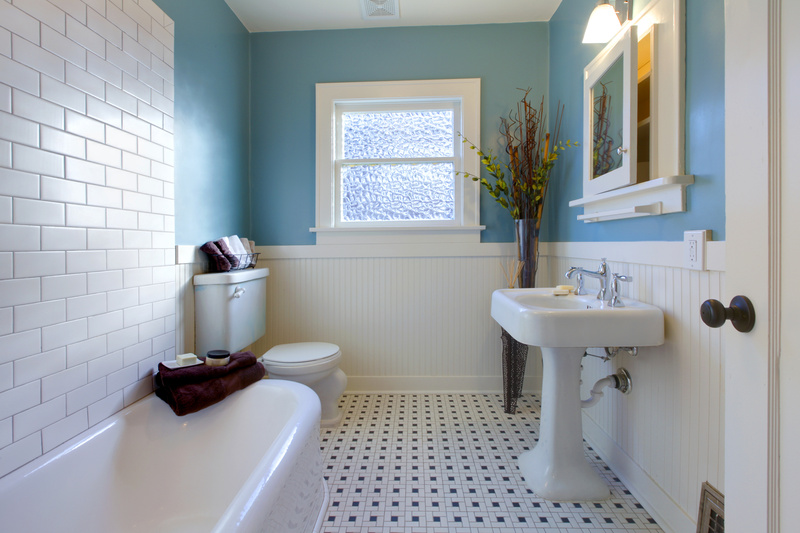 One of the features that attract property owners to tile is its durability and longevity. A home is an expensive investment. It’s also one of the places where you spend the majority of your time, so finding the right surface for you is a priority for us. A ceramic tile installation may be perfect for a busy household. Its ability to withstand the daily wear and tear of heavy foot traffic is unmatched by any other surface. Ceramic tile also creates a healthier environment for a home. Dust, pollen, and other allergens can lower the indoor air quality of a home. This can particularly stressful for someone who has asthma. Tile requires little cleaning. All that’s needed is a simple household solution and a mop. Tile is also fired at high temperatures, which means it carries little if any, volatile organic compounds. After you’ve selected your ceramic tiles, allow our professionals to see that the installation is done right. The quality of your ceramic tile installation is as important as the quality of the flooring you purchase. Our installers have the experience, training, and knowledge to see that your new floors are installed correctly and on schedule. In addition, we offer a Lifetime Installation Guarantee, which means that if there are ever any installation-related issues, we will fix them at no cost to you for the lifetime of the floors. We take great pride in our work and always have your satisfaction in mind. Contact us to view our selection of ceramic tiles. We proudly serve residents in Great Falls, Monument, Black Eagle, Vaughn, and Fort Shaw, Montana, as well as those in the surrounding areas.